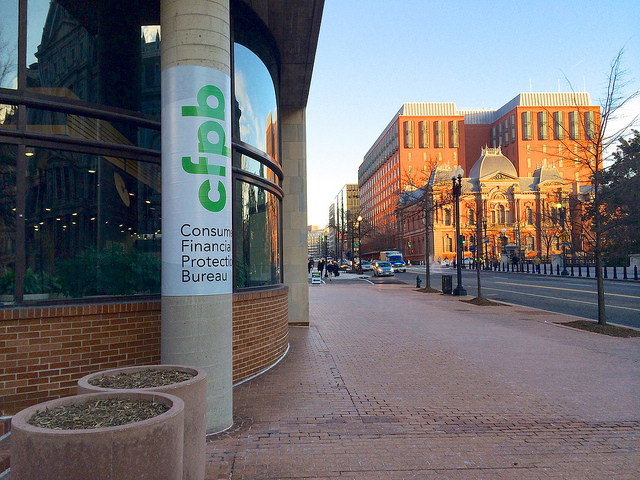 How will Congress guarantee fairness for consumers and financial companies? So in this pivotal vote, how can Congress help strike a balance between advocating for consumers, and protecting business interests, especially in relation to lawsuits? Since the Telephone Consumer Protection Act was passed in 1991, there have been countlessawsuits that have taken on major companies for abusive telephone practices. Under TCPA law autodialing is illegal, as are robocalls, if a company dials the wrong person. In these ways, the TCPA protects consumers from being harassed by companies seeking to collect debt or do telemarketing. The TCPA has lessened the frequency of telemarketing calls and unwanted robocalls. It has given consumers an outlet for dealing with abusive behaviors by corporations. However, when consumers have the power to manipulate the outcomes of autodialing and robocalls, the TCPA can be abused. Forbes published an article (http://bit.ly/2vBe3mD) about consumers who act as serial TCPA plaintiffs, who buy cheap cell phones and reassigned numbers to purposely rack up TCPA violations. It discusses the struggle between business interests and consumer interests. The proposed CFPB rule that outlaws mandatory arbitration clauses in contracts would likely result in more TCPA lawsuits. Since a customer would not be required to settle out of court, there would be more opportunity for TCPA lawsuits to be brought against businesses. It’s no wonder that companies have included mandatory arbitration clauses in their contracts, as TCPA lawsuits causing a large financial impact on offenders. There are ways to spur cooperation between consumer protection and business interests. Here are several suggestions for improving the relationship between consumers and businesses, maximizing the positive effects of the TCPA, and minimizing abuse of the TCPA. When consumers read through their financial terms agreement, they are free to make the decision to become a customer for one bank or another. However, most consumers do not read through lengthy agreements. The burden is partially on the consumer in this situation. In schools, students often do not receive education on financial or legal matters, even though high schoolers often have bank accounts and work part-time jobs. The minute that a teen opens a bank account, they should undergo a beginning-stage consumer education program. Basic financial and legal education can teach consumers how to read through legal contracts, what to look for, and how to handle different matters. Consumers can become better aware of what financial terms mean, and how they translate into real-life. While legal term agreement documents should be read thoroughly, they rarely are, due to the length and complex language. Companies could present both an abbreviated summary of the document, hitting all the main points in common-speak, as well as the longer document available for review if desired. This would help with consumer understanding of possible legal action in the event of wrongful action, and it would allow companies to better support consumer rights. Even though text messaging may result in consumer abuse, the reality of the matter is that consumers do not face as much inconvenience from text messaging. Rather than taking up any of the consumer’s time or prompting a response in the form of payment, a text message would typically prompt little-to-no response from a consumer. Research should be done into the potential real-life damage that text messaging can cause to consumers in telemarketing and debt collection. Text messages are certainly not the same as calls, so the FCC should take steps to find out how the two differ in actual damage to consumers. If there are consumers who are known abusers of the TCPA, legal action should be taken to prevent those plaintiffs from pursuing further action against companies. While a TCPA violation may be serious for one consumer, there is another abusing the law for personal gain. Serial TCPA plaintiffs lessen the urgency with which actual cases of consumer abuse can be addressed. It is also a common belief that TCPA trial lawyers benefit greatly from the class-action lawsuits, more so than class members. We encourage cooperation between consumer advocacy groups and business interest groups. We hope that consumer rights can be protected while also minimizing abuse of the TCPA in the future. The suggested solutions are not all up to Congress, and can only be implemented through holistic cooperation to better the business landscape for financial consumers and companies.